Another Waratah – I know – but I just love them! 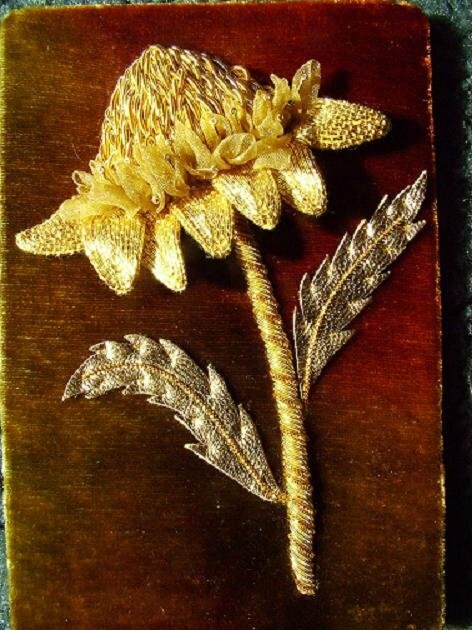 This waratah – titled New south Wales Waratah – is worked in dimensional goldwork embroidery on a background of Colourstreams hand-dyed silk velvet – simply yummy! This one is only small – approximately 10cm x 15cm and is padded with soft cotton and felt and embroidered in English purls and Japanese couching threads along with kid leather.